Happy October everyone! October means so many things. Fall is in the air. It’s the start of the Holiday seasons. It’s also Breast Cancer Awareness Month. I have quite a few products I’ll be featuring to show how you can give back. For more information on Breast Cancer Awareness, be sure to visit the official site here. Dooney & Bourke has supported Breast Cancer Awareness Month for years, but this is the first bag designed exclusively for the cause. The Pink Ribbon Tote will be sold for $58.00, with $5 from every sale going towards The Breast Cancer Research Foundation®. 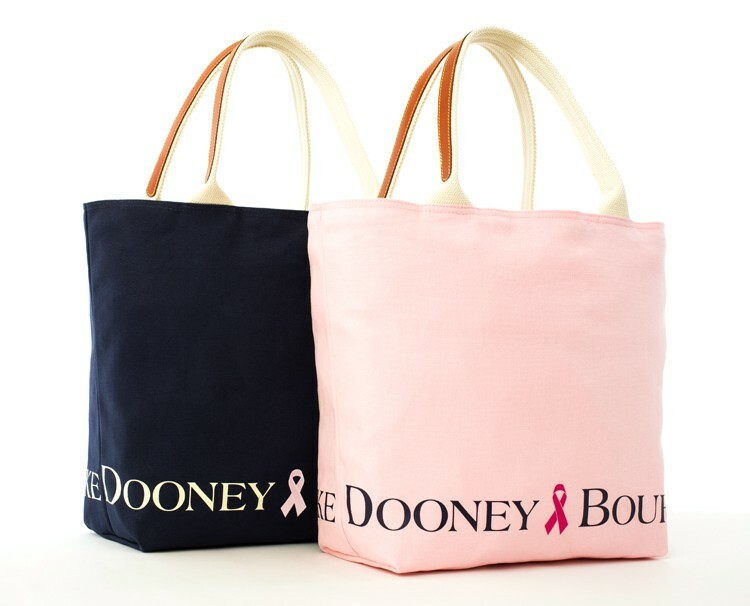 The tote will be sold at Dooney & Bourke retail and outlet stores, and on dooney.com. The bag is made of durable cotton canvas, in navy blue with pink piping or pink with hot pink piping, and has leather-trimmed handles. Find out more about the bag online here. Please help spread the word about this month and educate people on how they can help.